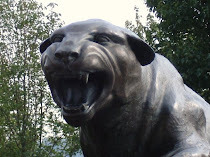 CARDIAC HILL - A Pitt Panthers Blog: Women's Team Back On Track? 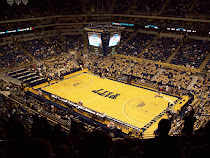 I don't normally mention women's basketball recruiting, but 6'2" center Chyyna Golden committing to Pitt is big for two reasons. First, she's one of the top basketball prospects in the country. She ranks at #79 in ESPN U's top 100 recruits on espn.com (must be an insider to view). Second, the program has been on a downward spiral since the season ended. The team lost two assistants to other coaching jobs and their entire sophomore class. This move shows that Agnus Berenato is still able to lure top recruits to the school and maybe the program isn't in the dire situation as it appeared to be a few months ago.